Now that summer has slipped away and it looks like we're heading into autumn I've got bored of summer nail colours and am more than ready to switch over to deeper darker autumn/winter shades. 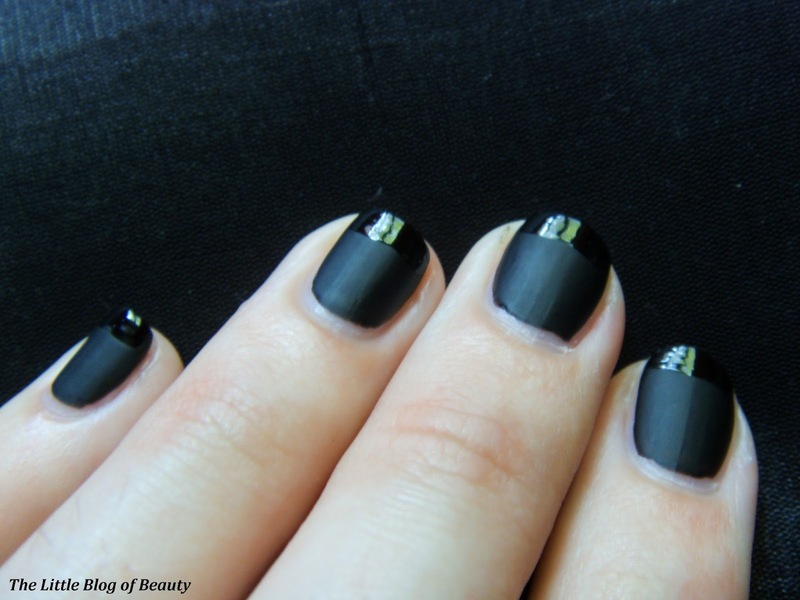 Today's nail art look is very simple but I really like it. This time I decided to use black (the deepest darkest colour possible!) but I'm planning to try this again shortly with a lovely new berry shade I picked up the other day which I think would also look amazing. I apologise for my bad cuticles on the photos. I'm trying to sort them out but to be honest I don't really know what to do with them! I'm using a Sally Hansen cuticle remover but I'm not really sure how it's supposed to remove cuticles. I'm pushing them back but on a couple of nails they still just look messy so I think I need to actually remove them, but I don't know how to do it. Any tips would be appreciated! 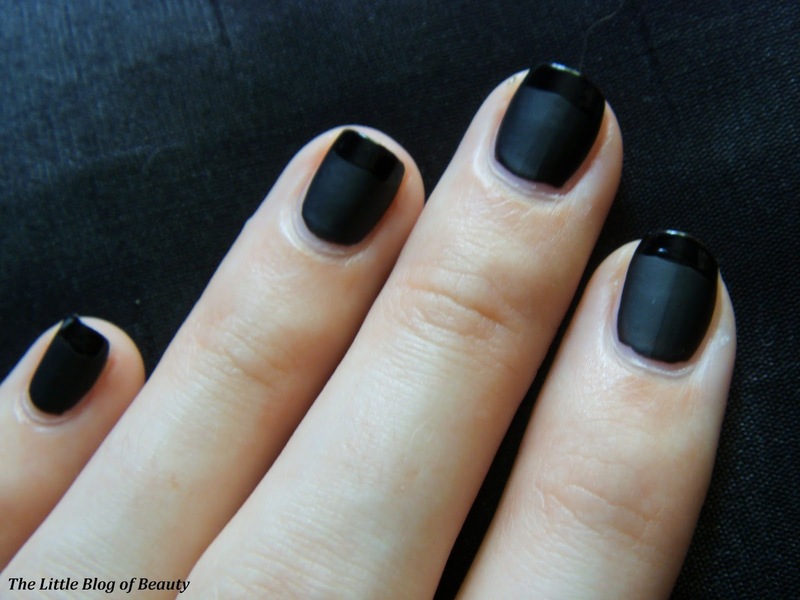 To achieve this look I used Bad Apple's Bad Bad, Rimmel's Pro Matte Finish top coat and Seche Vite top coat. I started with a base coat and then carefully (you can make a right mess with a black nail varnish!) applied one coat of Bad Bad (one coat was all that was needed!). 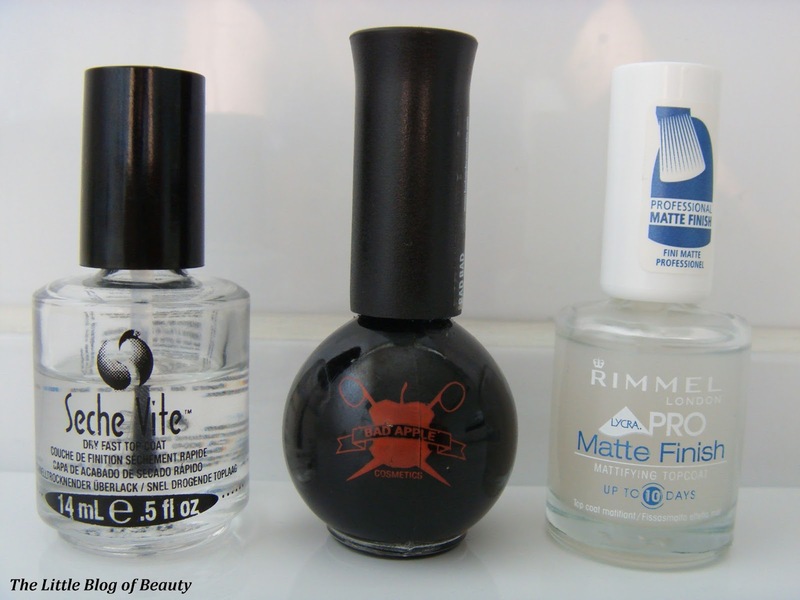 I then applied the matte top coat to the entire nail and once dry I applied Seche Vite just to the tip of each nail. The line is not perfect as I applied this free hand by just running the brush along the tip of the nail but it looks fine. I would possibly also try applying a thin line over the top of the join (but I currently only have a black nail art pen) or a piece of stripping tape over the join, but my new stripping tapes haven't arrived yet. 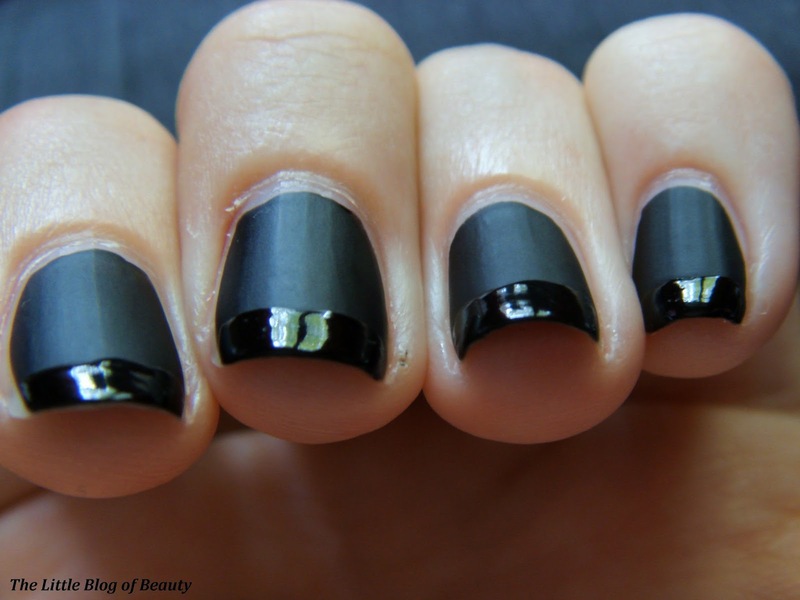 Are you going to be switching to darker nail colours now? I'm yet to try this look but it looks so awesome!! Thanks for stopping by and leaving a lovely comment on my blog!